Uprooting and moving into a new home can be a refreshing, positive experience – if you set yourself up for success. 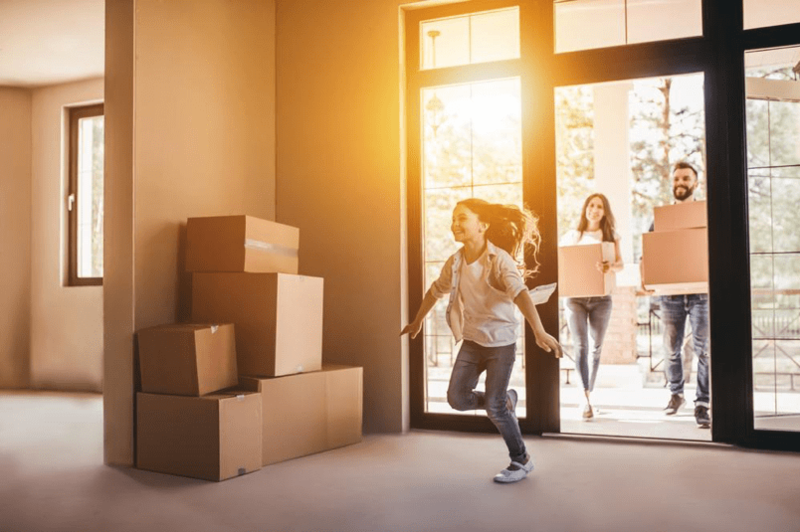 Whether you’re buying a house or upgrading to a new apartment, the process of moving all of your belongings isn’t something many people look forward to. After you’ve done all of the de-cluttering, sorting, and packing of boxes, you’re left with figuring out how you’re going to move everything to your new home. You might just try to pack everything into your car, along with the help of family or friends. Another option is to rent a moving truck. Both of these options can work, but neither one of them is easier than renting a portable storage container. 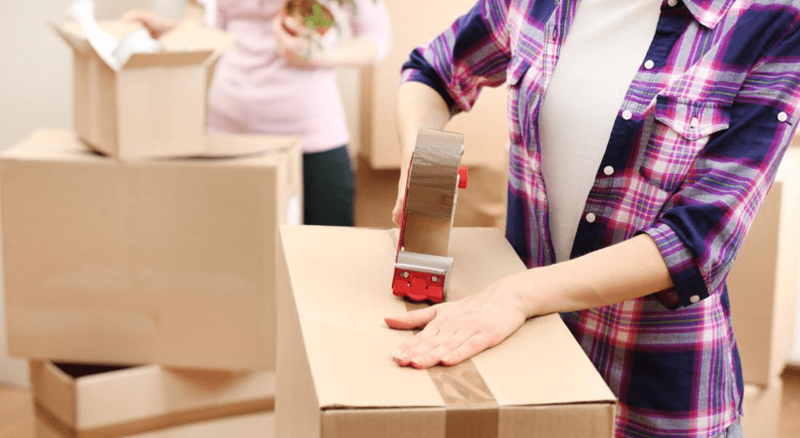 Here are 10 things I wish I knew about portable storage before my last move – and why you should consider renting one yourself. Moving to a new home usually means a lot of time behind the wheel – and I think we can all agree that we want to reduce time driving as much as possible. If you opt to move everything yourself, you can either make multiple trips in your car or rent a moving truck. Multiple trips in a car are tiring, frustrating, and a very inefficient way of moving anything more than a couple of boxes. Renting a moving truck is a tempting option because it means you can get all your moving done in one trip, but driving a large truck yourself can be quite intimidating if you don’t have experience. Portable storage units eliminate the issues of multiple trips in your car and the trouble of driving a large vehicle yourself. Your Cool Box portable storage container will be delivered, you load it up, and it will then be transported to your new home for you to unpack. Carrying a heavy box or an awkward piece of furniture up and down a loading ramp is an experience we can all do without. Having to use a ramp is a big disadvantage of using a moving truck. It makes loading/unloading more difficult and, in some cases, even dangerous if you misstep. Some newer moving trucks are outfitted with lifts. This will help save your back, but it slows down the loading/unloading process and still has potential safety issues with its use (i.e. pinching). Cool Box Portable storage containers sit at ground-level which makes D.I.Y moving far easier and safer. The chance of stepping off a ramp is gone and you can walk large items straight into the container quickly, unlike you would with an electric lift. Moving into a new home is exciting, but it’s normal to also get a bit overwhelmed and stressed as well. When it comes to common moving time stressors, feeling rushed because of a tight time frame is right at the top of the list. When you want a low-stress move, using a portable storage unit is a great way to go. You can rent a Cool Box portable storage container for longer than mostmoving trucks, which gives you more time to unload your boxes. You will alsohave plenty of time to decide where furniture will go before you move them intoyour new home, rather than having to move furniture multiple times. If you do get busy and postpone unpacking some things or decide you need to store some of your items long-term, portable storage containers will accommodate easily. The Cool Box portable storage container you rent for your move will be the same container that you’ll use for long-term storage. This means you won’t need to unload anything you’d like to store and reload it into a different container or self-storage facility. All Cool Box portable storage containers are weather-resistant, secure, and locked. You also have the option to store the container long-term on your property or at the company’s secure facility until you’re ready to unload it. Hidden and surprise charges aren’t uncommon with rental truck moving companies and they can be quite sneaky aboutit. For example, most rental trucks will have a handcart, moving blankets, and straps located inside. You’d assume that these are for you to use during your move, but you what you might not know is deciding to use them means you’ll be charged an extra fee. It’s also all too common for professional moving companies to tack on an additional “fuel surcharge” as well, which may have only been mentioned in the fine print of your contract and not openly discussed. Renting a Cool Box portable storage container for your move means a flat rate with no hidden fees. You will simply receive an accurate quote for the length of time you need your portable storage container for and be able to set a date to have it delivered. Best of all, delivery andpickups are free within local limits. Another advantage of renting a portable storage container for your move is you have the option to hire your own crew to load it up. For liability reasons, many moving truck companies will require that you either load the truck yourself or you use their professional moving service. Movers working with a company aren’t often very gentle with your belongings since their main goal is to move everything as quickly as possible to get the truck back for the next customer. When you have a portable storage container you can hire any professional moving company you’d like or even hire local individuals who arelooking for odd jobs. Since there is no rush for when the portable containermust be moved, your crew can take their time and ensure everything is secureinside. Another way portable storage offers flexibility for customers is by giving you the power to decide where you’d like to place the container.When you’re moving, there are two main options for where you can store your Cool Box container. Storing your Cool Box at your new home is the best option when you’re moving and need quick access to items in your storage container. You can also rest assured that Cool Box containers are secure, thanks to being designed with a lockable bar latch that is extremely difficult to cut through. You can also have your container stored at the Cool Box Storage’s secure facility. This is the safest option for long-term storage when you don’t need immediate access to your belongings. It’s also the best choice if you’ll be traveling during this time or if parking restrictions or driveway space at your new home become a concern. Moving during hot summer weather isn’t pleasant. Not only can it be a dusty, sweaty experience for yourself, but the heat from the summer sun can also cause damage to your belongings. Many moving trucks have no climate control in the rear so while you might be staying cool in the cab, heat, and moisture may be wreaking havoc on paperwork, photos, electronics, and your upholstered furniture. Consider that the truck is essentially a metal box, it turns into an oven. To protect your belongings from heat-related damage, selecting a portable storage container that is insulated is important. Not all portable storage containers are insulated, which makes Cool Box Portable Storage the ultimate choice. The insulated design of their portable storage containers keeps the interior 10 to 15 degrees Fahrenheit cooler than uninsulated competitors. Security is an important factor during a move, especially if you decide to store some of your belongings for longer than a few days. Not only does the container itself need to be secure, but the facility you decide to store at must be safe. Portable storage containers offer greater security compared to a moving truck. These containers only have one door to secure, with no other way to access the interior. When the portable container is picked up to be delivered to your new residence or the storage facility, no one will have access to the inside. Storing your portable container at the Cool Box facility is also safer than typical self-storage buildings. Your Cool Box will remain in their yard, away from anyone but staff, until you request access. Containers are stored door to door which prevents the swing door from being opened adding another layer of security. This offers more peace of mind than self-storage facilities which allow other customers into the building. Depending on how busy your local moving truck rental company is, you might end up having to pay for a truck that is much larger than you really need due to low stock. Similarly, if your local self-storage facilities are full, you might have to rent a much larger space than what you need. Either way, you’re looking at wasted money. Portable storage containers come in a range of different sizes, with Cool Box Storageoffering three choices – 7′ x 12′, 8′ x 16′, and 8′ x 20′. The 12′ size isperfect for moving apartments and studios, while the 16′ is ideal for smallhomes. If you’re moving a whole 3+ multi-bedroom home, then the 20′ is going togive you plenty of space. Are You Ready to Make Your Move Easier? Renting a portable storage container simplifies moving in every aspect – from hands-off delivery to easier loading to long-term storage options. Cool Box Storage offers a number of benefits to their customers that other portable storage companies do not. These benefits include free delivery and pickup, deep discounts on long-term storage, and durable insulated containers. Best of all, Cool Box Storage matches competitor’s prices while offering superior service! If you’re getting ready to move to a new home and are interested in using Cool Box Portable Storage, give them a call. Or if you’re already ready to get a quote and schedule a date, click here to access their customer portal.